We arrived at the Woodbridge Inn of Woodstock and were ready to get some rest and head out for a full day in the morning. We booked the Inn that morning, and got a great deal at $99/night. The Inn is clean and cute, but there is no proprietor in site. The housekeeper, Dee, was extremely sweet and gave us great suggestions on things to do….but there is a certain something that a proprietor brings to an Inn, and it was missing. However, it was $99 per night, very clean, adorable, it is right on the river with a gorgeous backyard to sip tea in, and the bed was insanely comfortable. All in all it was a great choice and we would stay here again. 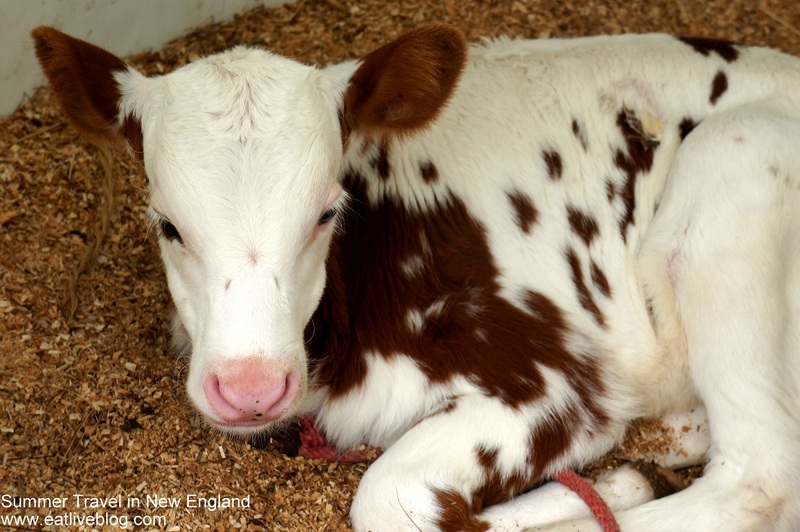 In the morning we headed out to our first destination, Sugarbush Farm, where we were greeted by Patches. Seriously, how cute is this thing? And you get to feed her, and pet her, and let her eat your sister’s sweater…. The goats ignored us until they heard us purchase some food, all of a sudden they were our best friends. After we tore ourselves away from Patches, we headed into the building where we met Marne and Betsy Luce. 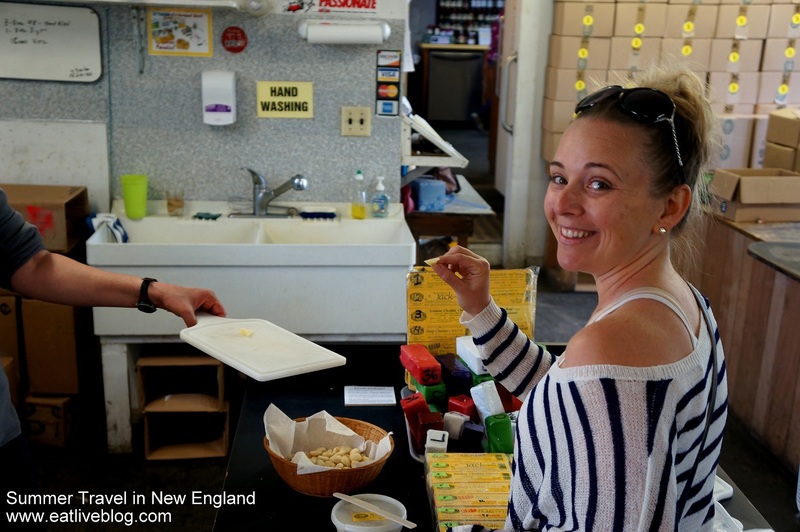 Marne took us through the cheese and maple syrup tasting where we decided we liked cheese #4 (Sharp Cheddar, 1 year aged) and #16 (Sharp Cheddar, 94 months aged) and Grade A Dark Amber Syrup….not that any were bad. In the next room, Betsy told us how this room was her kitchen when she grew up in this exact house. She moved there at the age of 2, when her father bought the farm for a whooping $4,000 in 1945. Betsy and her family have been there ever since. 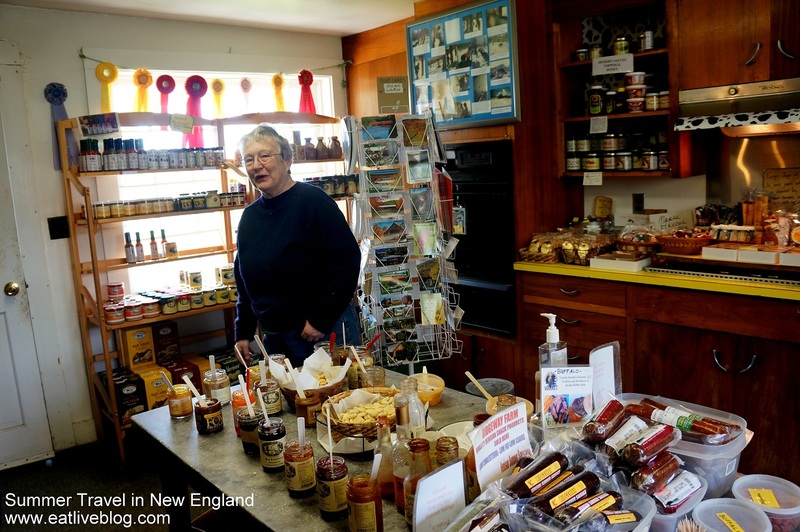 There, in Betsy’s childhood kitchen, we tasted ridiculous amounts of local jelly, dips, hot sauces, syrups, spices, pickles and more, as Betsy told us the stories behind many of the local producers. For instance, Dot of Sidehill Farms Jams had been a school teacher until the demand for her jams got too large to be just a side job. 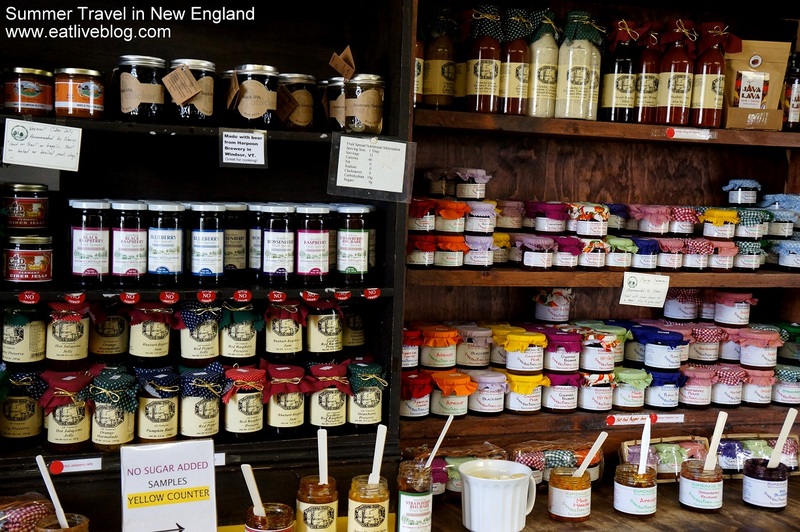 Or how Phyllis, of Fox More Than a Mustard, only makes and sells one product…which is delicious and ALL over Vermont. 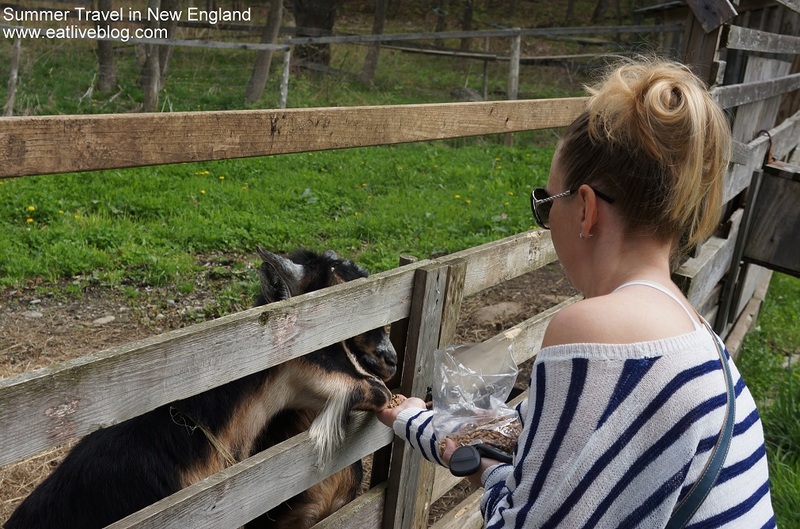 We tasted away, and listened, and chatted, and just enjoyed our time at the farm. 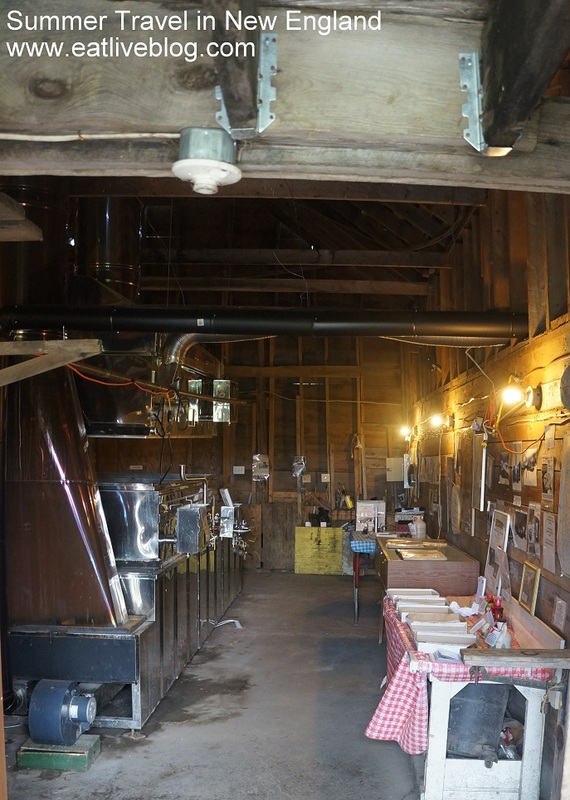 After we purchased some products, and thanked Marne & Betsy for their hospitality, we checked out the sugar shack and learned a little about the maple syrup process. It was time to travel back down the tree-lined, hilly, picturesque roads and head to Simon Pearce for a breathtaking brunch. 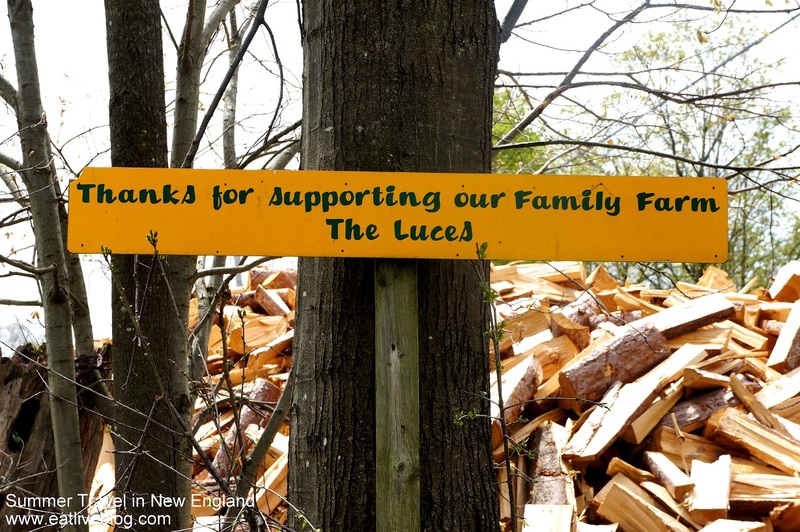 This entry was posted in Reviews, Travel in New England and tagged cheese, maples syrup, quechee, sugar bush farm, Vermont, VT, woodstock by reneeh. Bookmark the permalink. Patches is adorable! 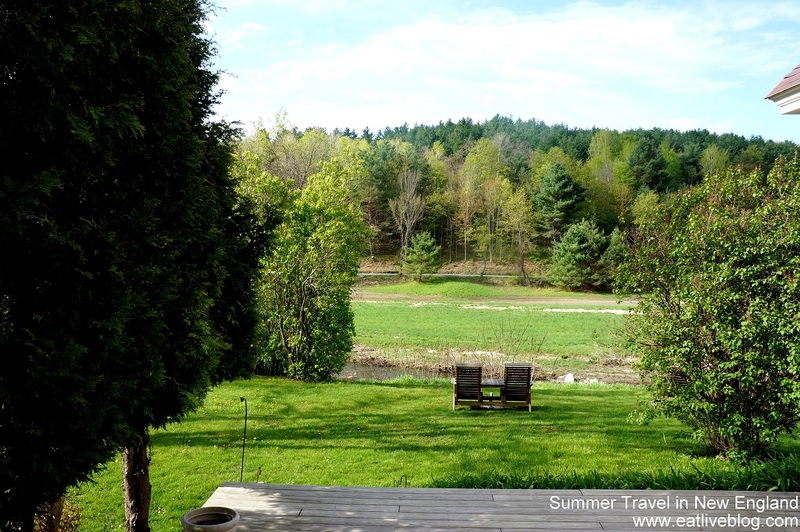 I may have to take a detour to the farm when I’m up in that area in July! I’m really enjoying this little adventure! My 5 year old daughter will freak out over patches so Sugarbush farm just got added to our list of places to see 🙂 Where to for dinner in Woodstock? ?